Feeling Lucky! 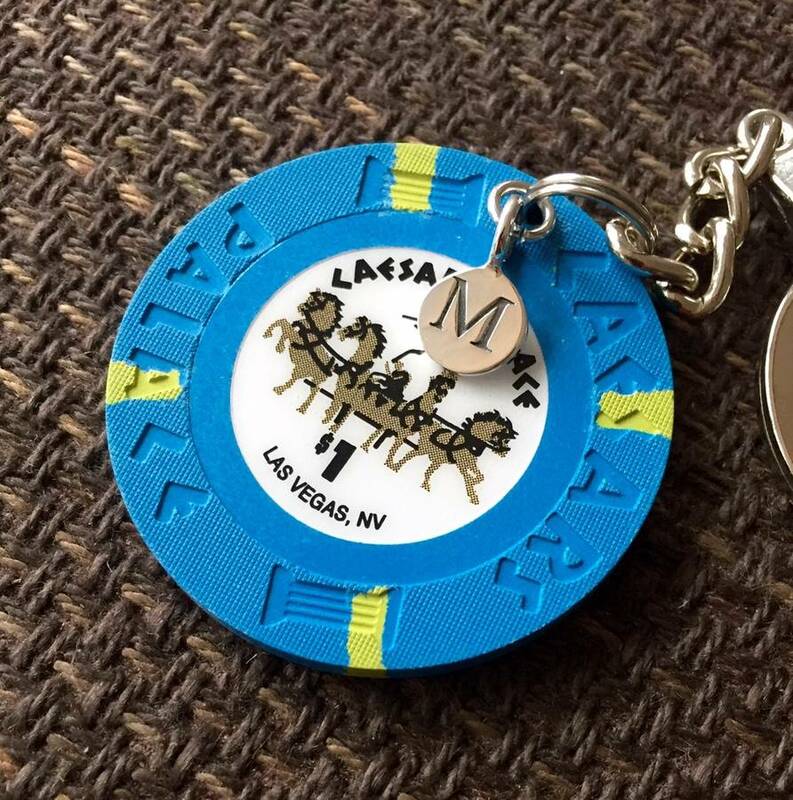 An original, authentic Las Vegas casino clay poker chip key ring. 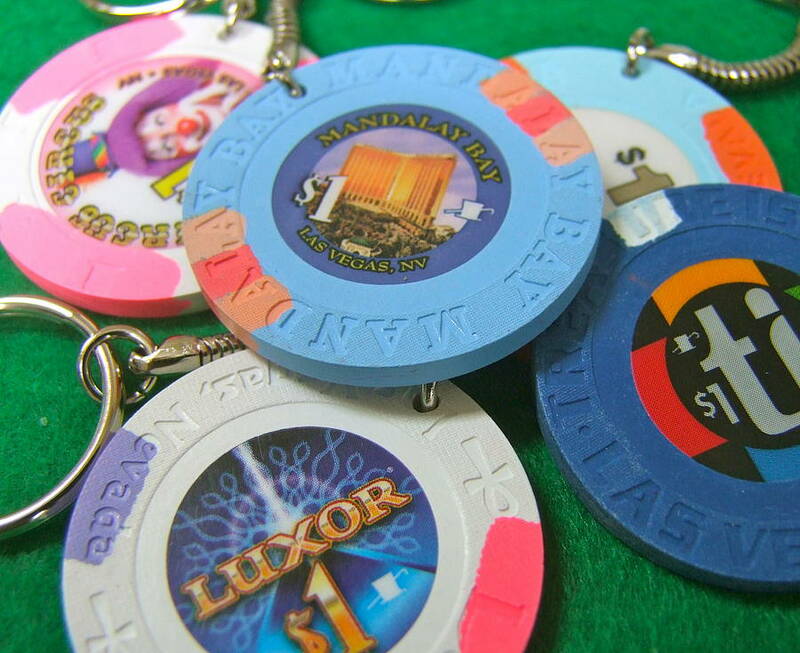 These authentic Las Vegas poker chips come all the way from the 25 different casinos on the Vegas strip! 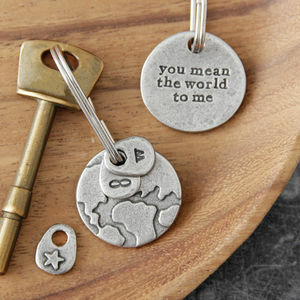 Each made of clay, we create these keyrings in the UK. 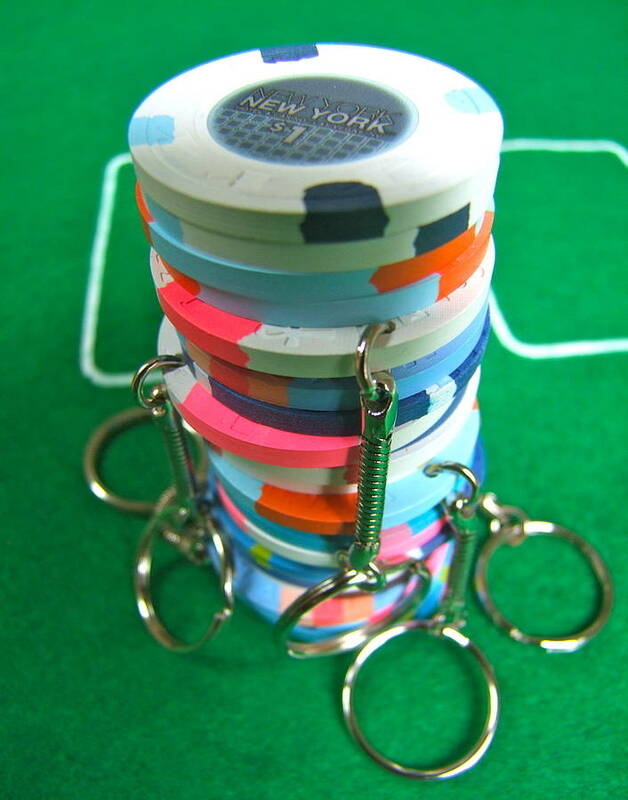 Perfect stocking filler for any poker player or an apt reminder for a groom after a stag party in Vegas. 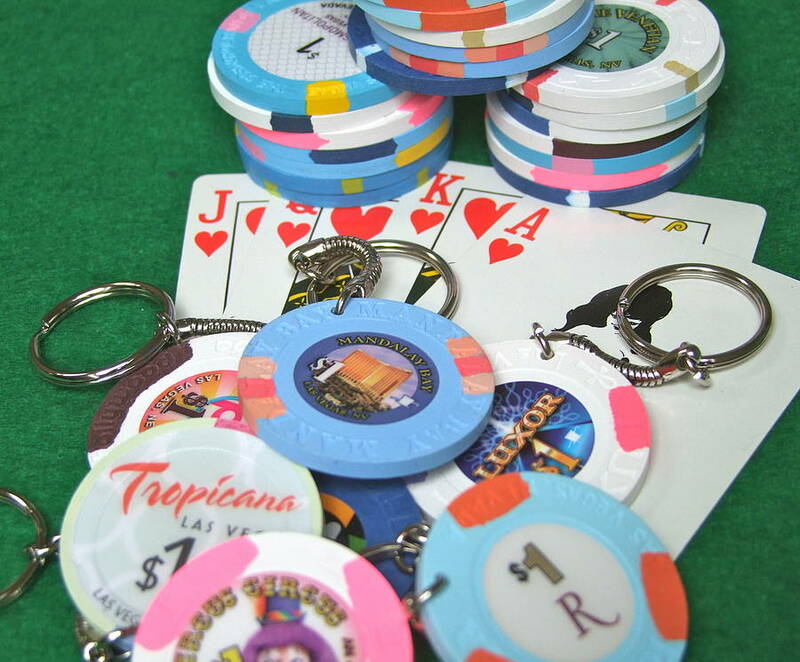 If there is a particular casino you would like, please email us so we can check our stock. Remember, what happens in Vegas stays in Vegas! 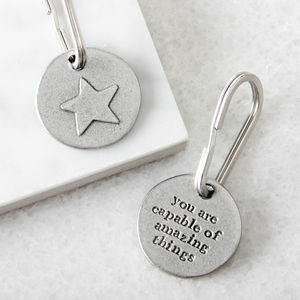 Your lucky chip will be selected randomly from the stock we have available at the point of your order. 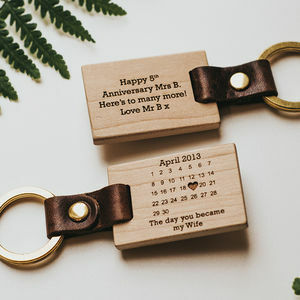 please type in personalised letter into the box if required. Authentic Las Vegas made clay molded chips. 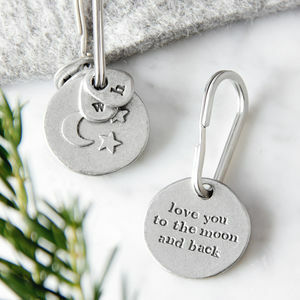 Note: Key chain may vary.